Work order functions are available within a few mouse clicks so you can create a work order within seconds and the data is automatically passed on to the next person in the process. The work order reporting feature is also easy to get to and use. Select filters and data columns to render reports, export them to desired file types, then save your report settings for later use. Handle facility maintenance work as easily as surfing the web. 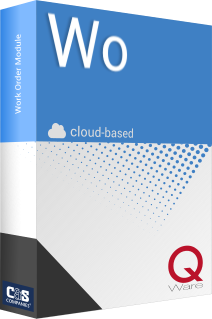 Q Ware work order tracking software is web-based, and on-demand through any web browser. Setup is quick and easy with unlimited access to support help and training. Schedule a live demonstration today to see how you can start managing your maintenance work without relying on all the spreadsheets, paper forms, and emails. Why is Q Ware work order software right for you? 3rd It's customizable - Work order forms, statuses, and automated emails can be customized. Can be used for other departments such as IT using "service areas"